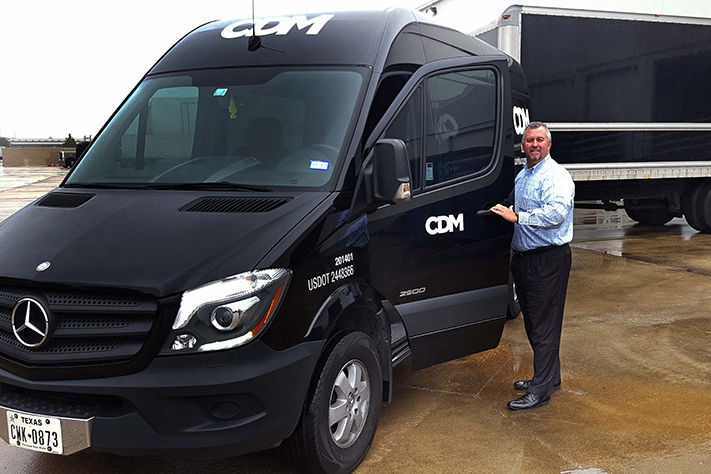 But in addition to earning a stellar reputation with their clients, CDM360 wanted to become the premier office mover in Houston. So they called the International Office Moving Institute (IOMI®)—the world’s only university of office moving. 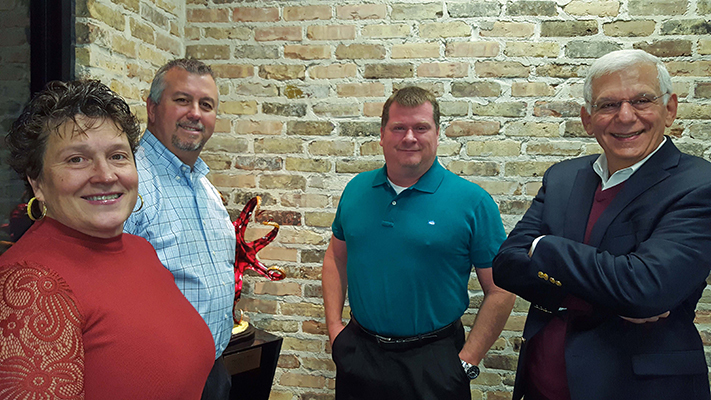 In early December 2016, CDM360 principals Rob Clark, Sherie Duncan and Peter Morris brought in IOMI® to teach their employees the best practice methods that the firm has developed and used to train and certify thousands of office move personnel around the globe. 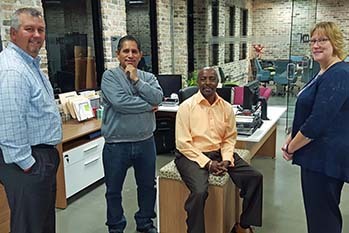 IOMI® conducted a three-day office moving seminar on-site, covering topics ranging from estimating jobs accurately to ensuring that their moves finished on time for the price quoted, with a minimum risk of damage to their clients’ furniture. 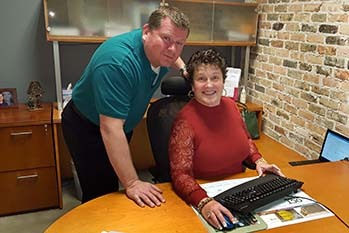 CDM360 also enrolled in IOMI®’s online office moving seminar for an entire year so they could train their new hires to handle their projected growth. As a result, the team is poised to make the most of their IOMI® investment, according to IOMI® instructor Ed Katz. 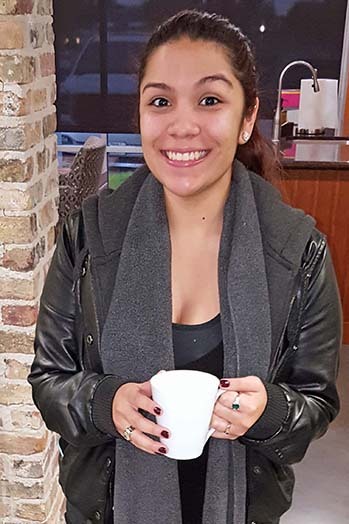 “CDM360 is one of the sharpest and best group of students I have ever trained,” said Katz. 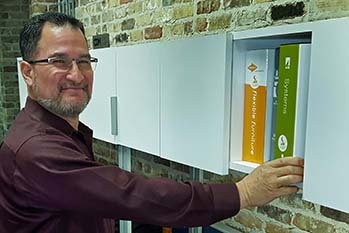 “I applaud Rob, Sherie and Peter for their leadership; they are willing to invest in the kind of education that will move CDM360 to the next level,” he added. As Texas native and National Baseball Hall of Famer Nolan Ryan once said, “My job is to give my team a chance to win.” That’s what CDM360 is doing with its commitment to long-term training with IOMI®! 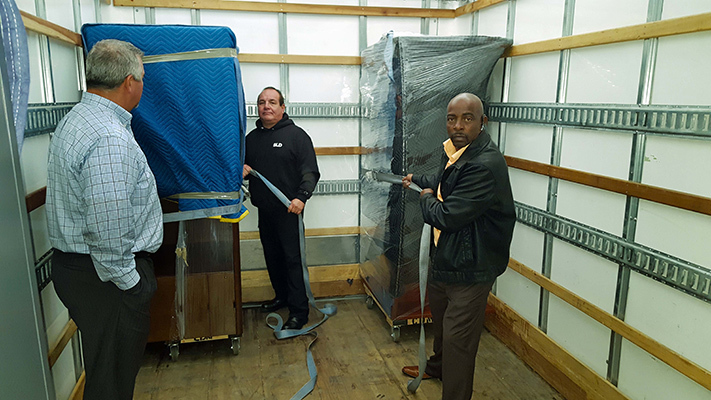 From the classroom into the truck—crew members got hands-on training learning the IOMI® floating method of keeping the furniture on the dolly on the floor of the truck. 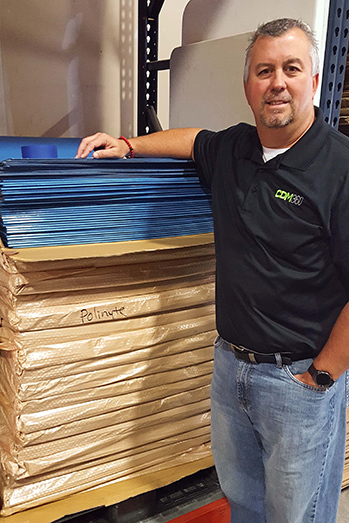 Rob Clark, partner, standing next to some of their hundreds of sheets of Polynite®—the best method for protecting floors from being damaged. 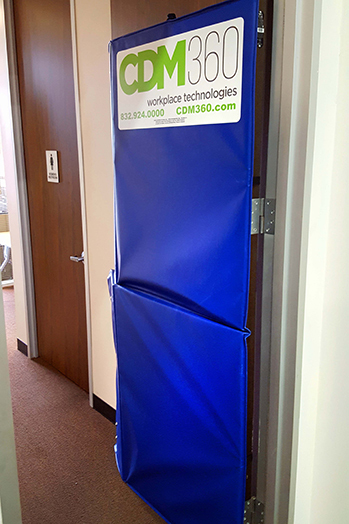 CDM360 uses Mat-A-Doors® to protect main building entrance doors, reception room doors and elevator entrances from being damaged. Coming from FF&E design and logistics, I never understood the depth or complexity to commercial office moving. Because of IOMI®, now I see it; now I know how to make it profitable, simple and SAFE! Being an Interiors professional, I normally wouldn’t see or understand the critical value and benefits of a great move team. 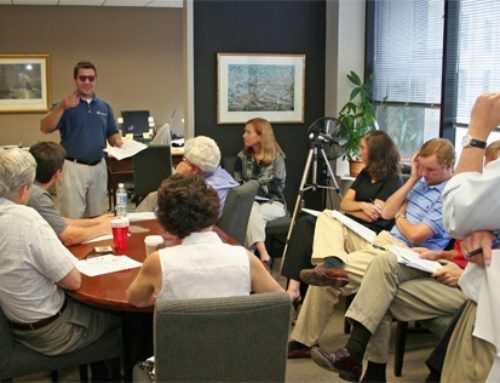 IOMI® improves my vision and allows me to now better serve our clients and my projects using their simple and effective standards. It just makes so much sense. I have lived, breathed and worked in commercial office moving for 20 years. This course and its methods are beyond brilliant. This changes everything…for the better. I had no clue what office moves were and how they really worked for the client. Now, I can estimate and plan them effectively. 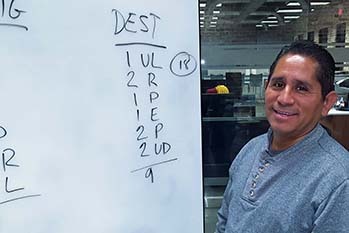 I live and work in the Enterprise Information Technology world. Normally I am not a fan of any rank-and-file movers. Because of IOMI® and the way we work, they are now my allies and my colleagues. I never understood how estimating and operations worked. It seemed to be hit or miss sometimes. But now, we are all on the same page! This is my second class with IOMI…it has changed us and made us even better in less than a month! This was my 4th class, and Ed’s lessons and wisdom continue to reveal better, smarter ways to provide service to the market within the IOMI model of excellence. We never stop learning or improving. We have always believed that CDM360 has been above the rest. The IOMI model changes and improves everything we do, which reduces costs, improves service and sets us even further apart from our competitors. IOMI blew away my expectations. Ed Katz is a genius. This model works; it improves and standardizes everything.